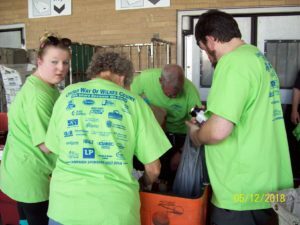 Saturday, May 12th marks the 26th anniversary of one of America’s great days of giving – the National Association of Letter Carriers Stamp Out Hunger Food Drive. Letter carriers walk and drive through the community every day, often coming face to face with the sad reality for too many, hunger. So on the second Saturday in May; letter carriers across the country collect non-perishable food donations from their customers. These donations go directly to local food pantries to provide food to people in Wilkes County who need our help. Last year, over 75 million pounds of food was collected nationally, feeding an estimated 64 million people. Last year in Wilkes County over 10,000 pounds of food was collected for people in need from our community. Over the course of its 25 year history, the drive has collected well over 1.6 billion pounds of food, thanks to a postal service universal delivery network that spans the entire nation including Puerto Rico, Guam and U.S. Virgin Islands. 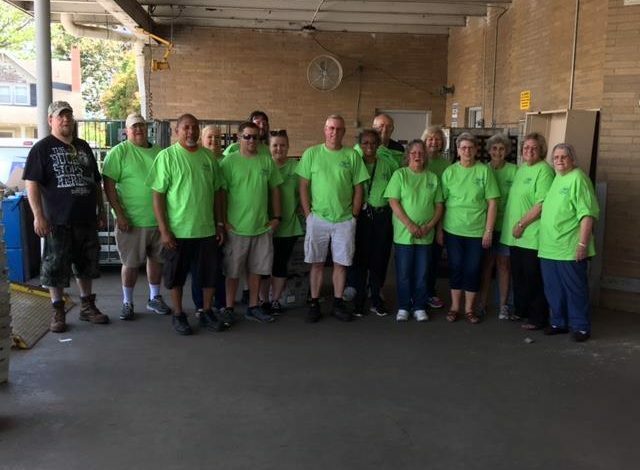 This year local letter carriers and postal employees, in partnership with the United Way of Wilkes will once again sponsor the food drive for Wilkes County. Four local crisis ministries participate in the planning of the Postal Food Drive and will benefit from the drive. They are Blue Ridge Opportunities Commission, Wilkes Ministry of Hope, Samaritan’s Kitchen, and Antioch Baptist Food Pantry. This year the need is even greater than before! Our crisis ministries are seeing more families and seniors who are seeking food. Currently 49 million Americans – ONE in SIX are unsure where their next meal will come from. Thirteen million are children who feel hunger’s impact on their overall health and ability to perform in school. And over 5 million seniors over age 60 are food insecure, with many who live on fixed incomes often are too embarrassed to ask for help. Our food drive’s timing is crucial. By springtime, most local food banks are depleted following the winter months and school assistance programs are usually not available for children, except for Samaritan’s Kitchen who provides the back pack program which gives a qualified child a backpack filled with food and other articles to help them get through the summer. Participating in this year’s Letter Carrier Stamp Out Hunger Food Drive is simple. All you need to do is place a box or bag of non-perishable food by your mailbox on Saturday, May 12th. The letter carriers and volunteers will do the rest. The food is taken to the North Wilkesboro Post Office, sorted, weighed and delivered to the local crisis ministries.